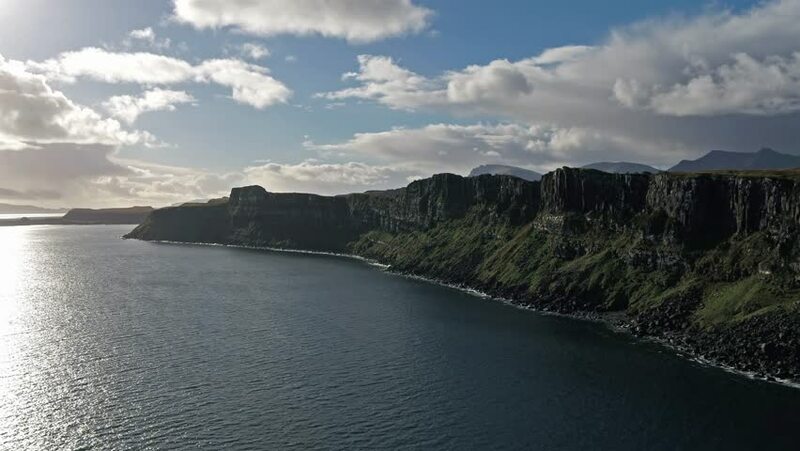 Aerial view of the dramatic coastline at the cliffs by Staffin close to the famous Kilt Rock waterfall - Isle of Skye - Scotland. hd00:15Jokulsa a Fjollum river in Nothern Iceland. Big grey river flowing between green hills.